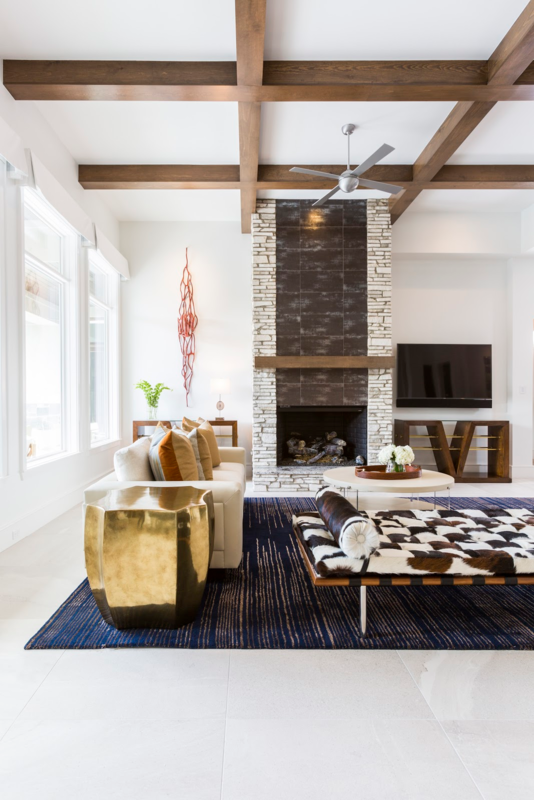 Though the living room has become less formal over the years, it continues to be a space to catch up with friends and family. 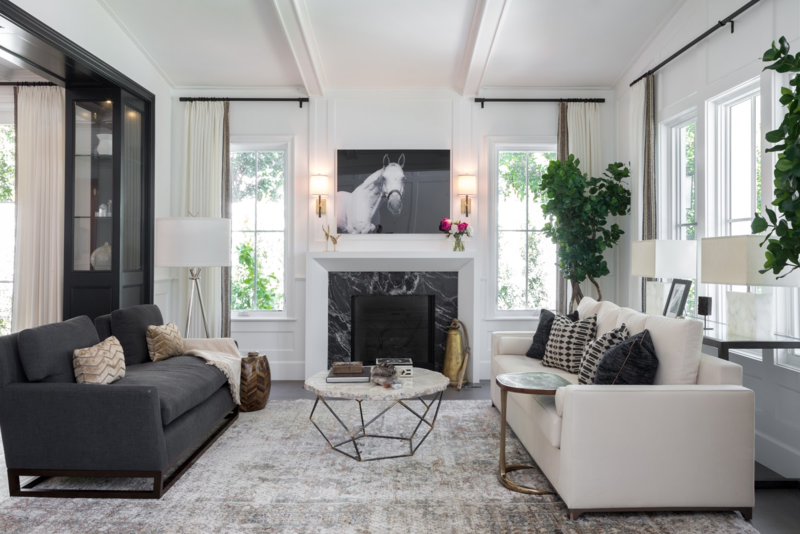 So today I wanted to share three tips for creating a sophisticated, yet approachable living room in your home. 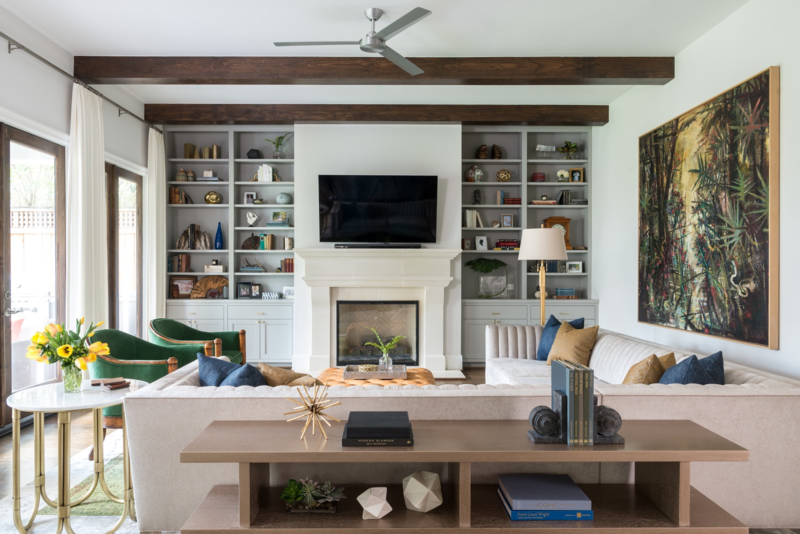 For this living room, the wood ceiling beams move your eye horizontally across the room to the beautiful built-in bookshelves. The painting by Katharine Bowdoin Barthelme mirrors the large windows and gives the space extra dimension. The green velvet accent chairs by Robert Allen Design bring the outside colors indoors and complement the painting to pull the room together. For more living room ideas and inspiration, head over to Instagram and Pinterest.